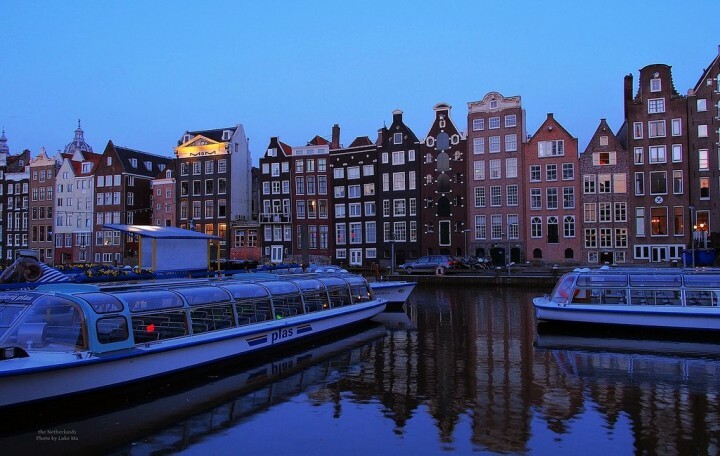 Many consider Amsterdam as one of the most charming cities in the world and compare it with Venice. 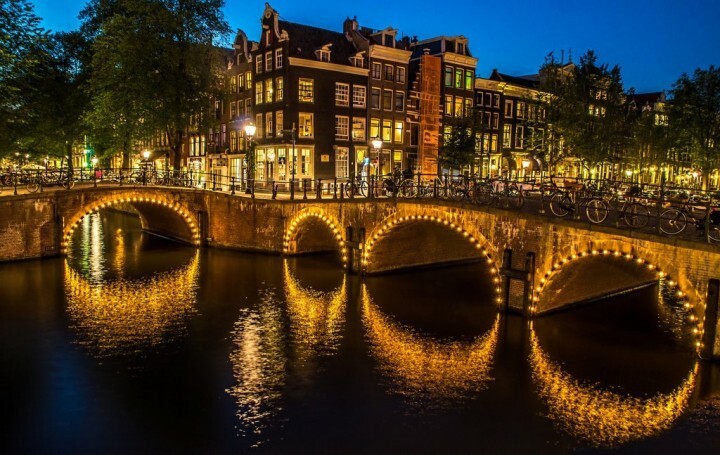 With such a lot of Things to do in Amsterdam, this picturesque Dutch metropolis on the Amstel river is famous for its canals, art galleries with famous paintings or cosmopolitan atmosphere. Thanks to the many unique sights Amsterdam is among the most attractive tourist destinations in Europe. Make no mistake; Amsterdam has also canals that are famous. They were built around 17th century for the purpose of controlling the flow of the Amstel River. However, a lot of people have thought of maximizing the canals to increase the popularity of their place and houses. 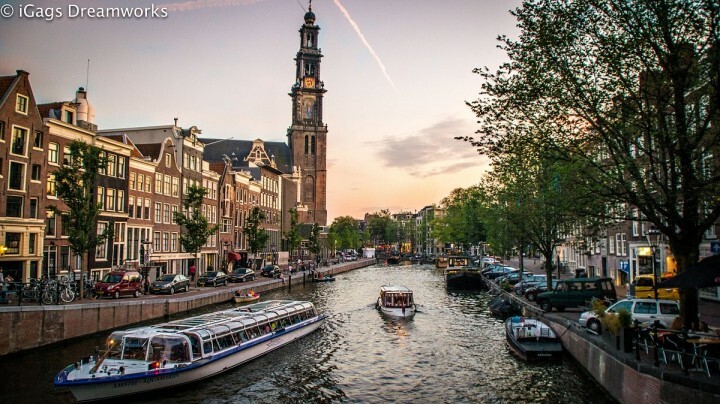 Thus today, one can take a boat ride and go through one of the many canals of Amsterdam. Begijnhof is the place where the English Reformed Church as well as the oldest wooden house is located. Essentially, Begijnhof puts itself in the list of the places to go in Amsterdam because of a lot of significant buildings that it houses. Furthermore, the place also has rich history, which would make it a very interesting place to visit for historians. It is a well-hidden charming garden surrounded by old houses. If you have ever watched the movie “The Diary of a Young Girl”, then you must have heard the story of Anne Frank and how she tried to save her life. Relieve all of that when you visit the house where Anne Frank took refuge together with other Jewish people during the World War II. Anne Frank’s diary is one of the most impressive testimonies of the persecution of Jews during the Second World War. No wonder this is one of the most translated books. 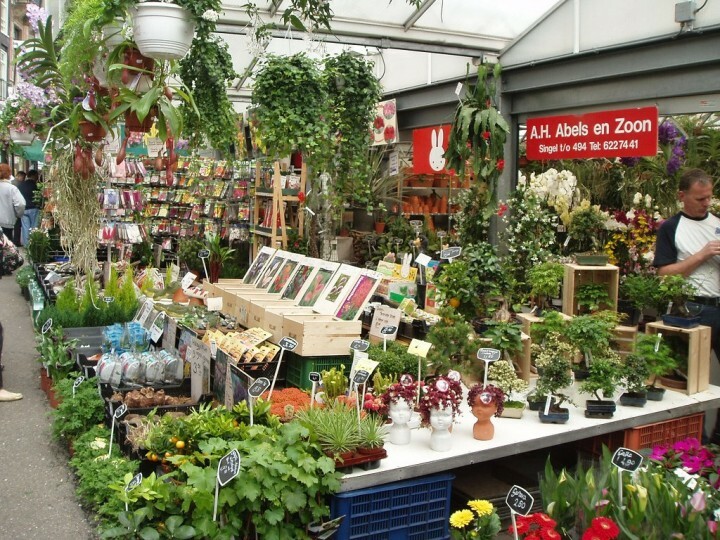 If you want to give flowers to your loved someone and you would want it to be very special, all you have to do is to go to the Bloemenmarkt, which is the only floating flower market of the world. However, you will have a problem to decide what flowers to buy as there are really a lot of them. All those walks in the busy streets of Amsterdam could be very tiring and taxing to you. 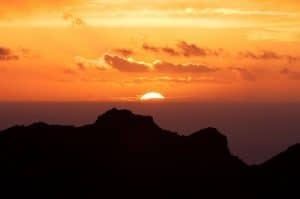 That is why you need to be in a place where you can relax and rest at least for a while. 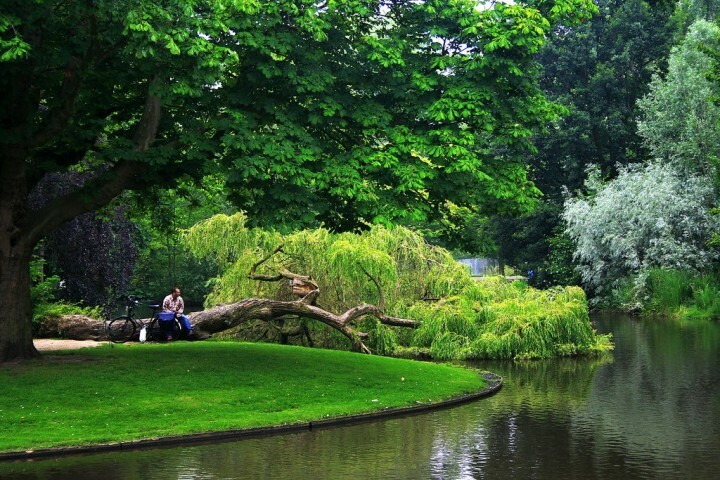 Vondelpark is the place where you can make this happen. All you have to do is to go there and sit and enjoy the rest of your day. You can even feed little bird animals there or simply lie down to the grassy lands until you have rested. The most famous bridge in Amsterdam is no other than Skinny Bridge (Magere Brug), although there are roughly 1,280 other bridges in Amsterdam. It was built in 1670 to connect the banks of the Amstel River. 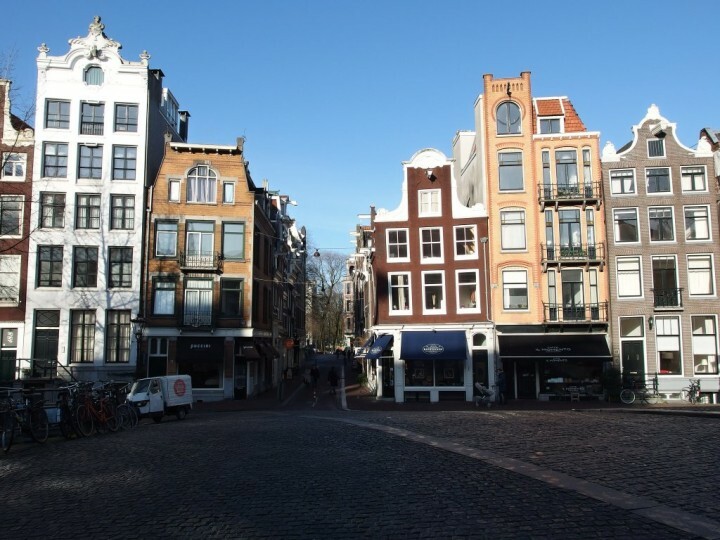 Once an industrial part, Jordaan is now one of the most beautiful places that Amsterdam can offer to its visitors. The former factories were beautifully rebuilt and now attract artists, students, and travellers. Among cafes, shops and art galleries you can enjoy a peaceful atmosphere enhanced by narrow streets and romantic canals. Rembrandt Square is another square in Amsterdam that is full of restaurants, pubs, cafes as well as hotels. It is a popular nightlife center and is such a real magnet for younger tourists. Older visitors can relax in the small but very nice park situated in the middle of a square. 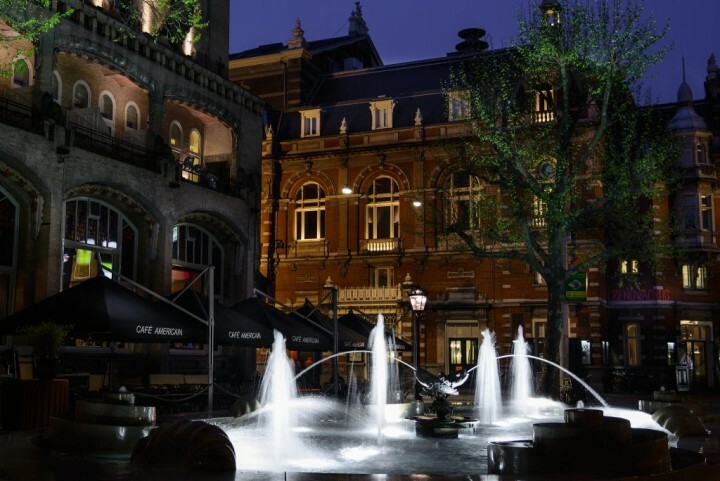 One of the most popular nightlife venues in Amsterdam, Leidseplein is a vibrant and picturesque place with many restaurants, coffee shops, clubs, cinemas and theatres. In the summer both locals and tourists are sitting out in the gardens and enjoy a drink. There are daily performances by musicians, jugglers and other performers. 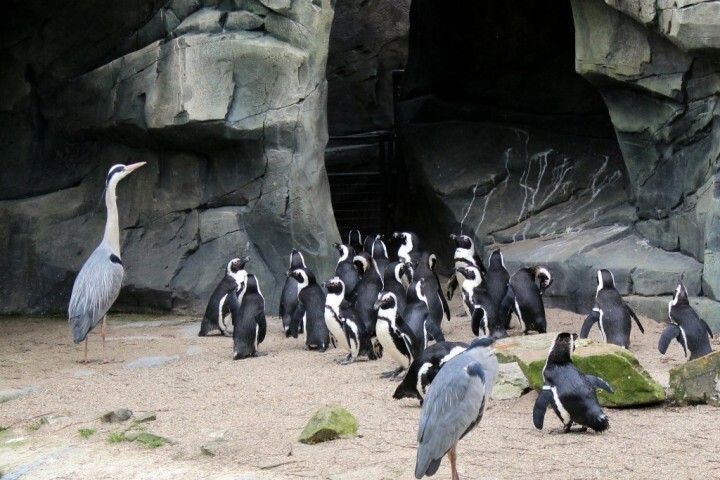 Right in the centre of Amsterdam is the oldest zoo in the Netherlands – Artis Royal Zoo. It consists of 4 parts: the Zoo, Botanical Gardens, Planetarium, and geological and zoological museum. There are animals from around the world. 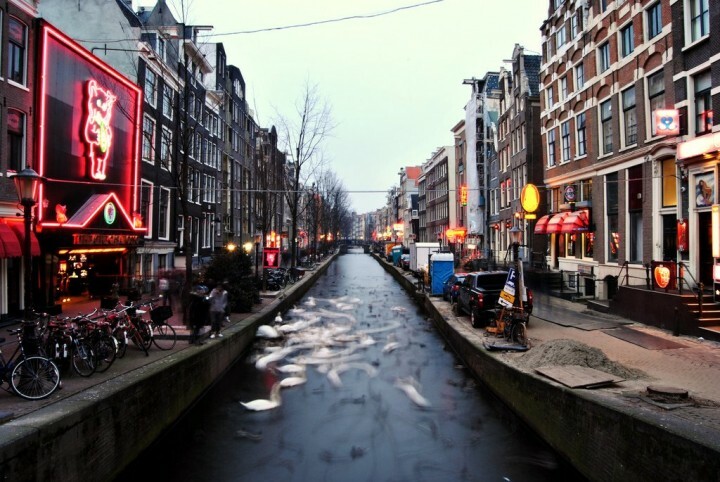 Unique channel Aquarium features animals living in the canals of Amsterdam. The peaceful gardens are home to many old trees and statues of contemporary artists, as well as an impressive greenhouse with tropical rainforest. The planetarium offers a trip through space. The geological museum shows the evolution of the planet over 4 billion years. This is the area allotted by the government for prostitution. That is right. Prostitution is indeed legal in Amsterdam and De Wallen serves as their version of a red-light district. It is quite a sight to see, however, there is much more you can do than just to look at things and people. Of course, that would be possible if you don’t have any commitment at all. This palace is a sight to see, with all the architectural designs it has to offer. You can just sit by outside of it and take pictures of you having it as a background. 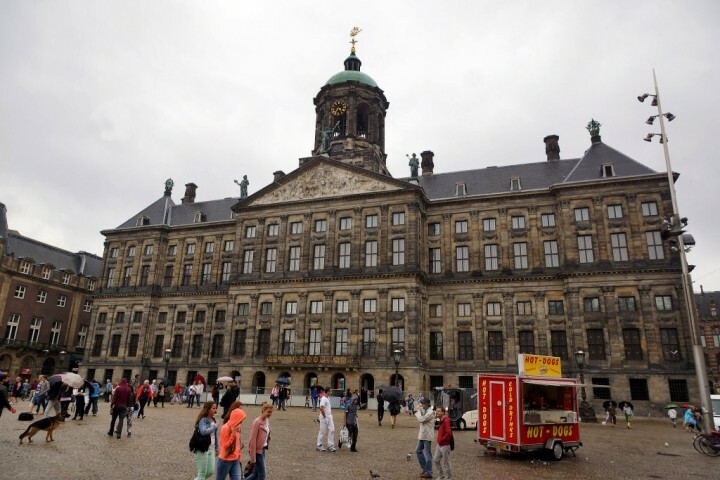 You will have something to boast to your friends as not many people have had the privilege to see the 17th century Royal Palace of Amsterdam in their lives. Even though there are definitely nicer sights that can be found in Amsterdam, Dam Square is city’s lively heart and its center. Its history is just amazing. 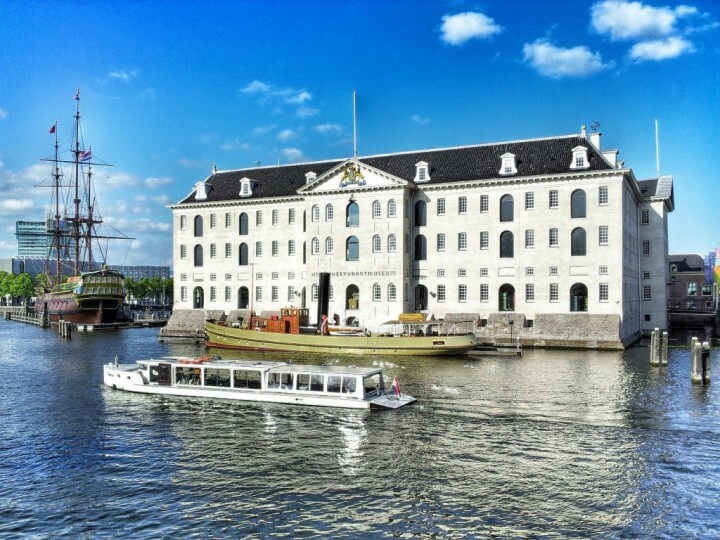 Dam was over the years a place of many historical dramas that you can learn about in the Amsterdam Historical Museum. It is here where you can see great Royal Palace (Koninklijk Paleis). 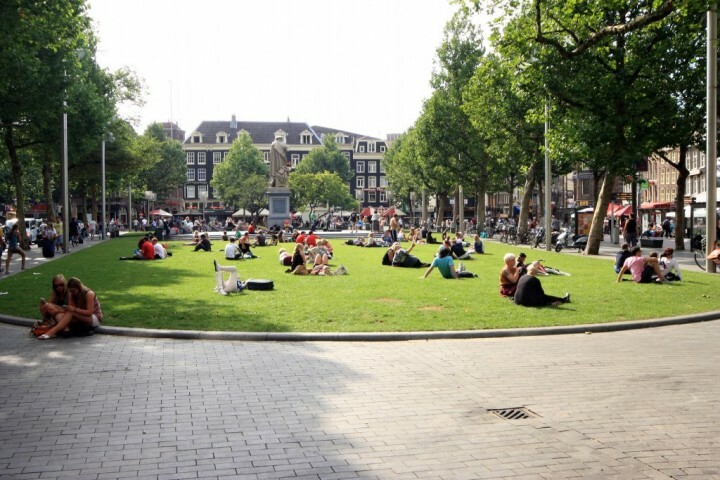 Unlike its turbulent history, the square now represents a peaceful part of Amsterdam that is waiting for all the visitors that need to rest. 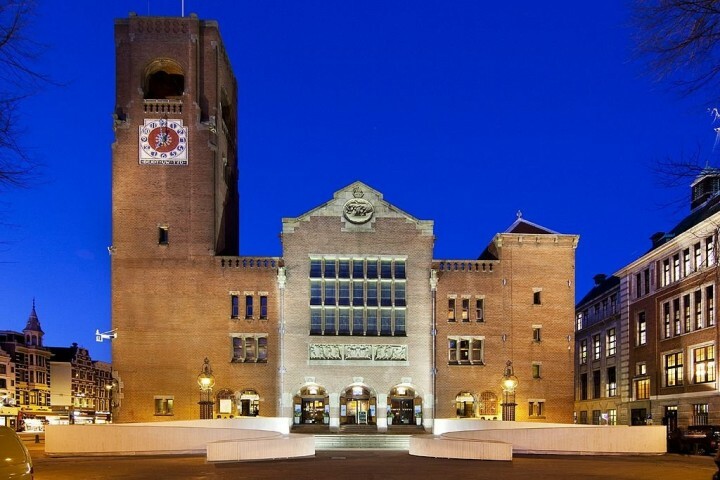 Beurs van Berlage building is the former Commodity Exchange market at the Damrak street. It was built right in the heart of Amsterdam between 1896-1903 by the architect Hendrik Petrus Berlage. It is currently used as a venue for concerts, exhibitions and conferences. If you like theatres, you should not miss Tuschinski Theater. Well, in fact, it is not the theatre you may know but rather a cinema, or better something in between. 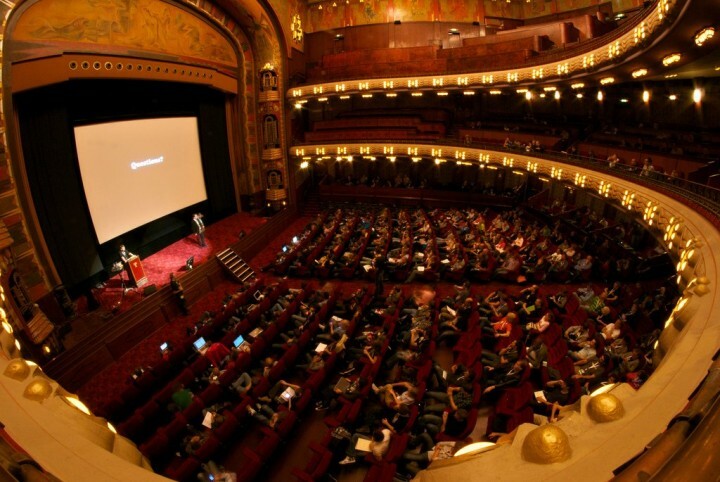 Tuschinski Theater is one of the most beautiful theatres in the world. Its interiors were inspired by the Far Orient and were opened back in 1921. Oude Kerk is the old church that can be found in the middle of the Red Light District and is surrounded by small houses. Sailors used these buildings along with the Gothic-Renaissance octagonal tower to transmit reports from their sails. Translated into English as New Church, Nieuwe Kerk is not so new in fact, but rather quite old. Being built in the 15th century in the late Gothic style, this church can be found on Dam square. There are many artefacts in the church that worth seeing, especially beautiful mahogany pulpit, sophisticated copper desk, cabinet or baroque organ, which is richly decorated. 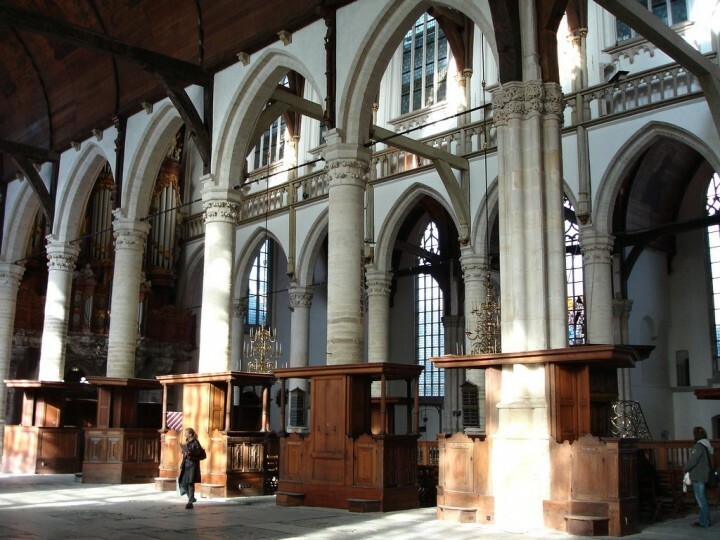 Zuiderkerk can be translated as South Church and can be found on the Zandstraat street. 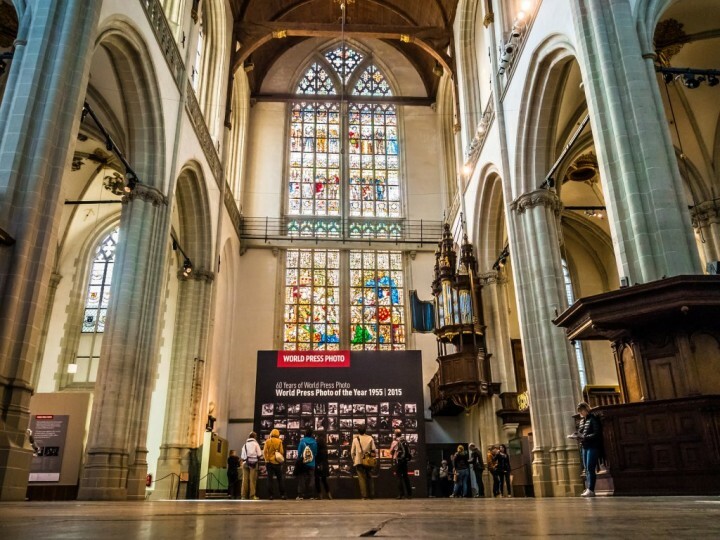 Built between 1603 – 1611, it is the first Protestant church in Amsterdam and combines both Gothic and Renaissance styles. The church is architecturally interesting, although does not serve as the church anymore. Now there is the seat of the municipal housing office and a place of some exhibitions. 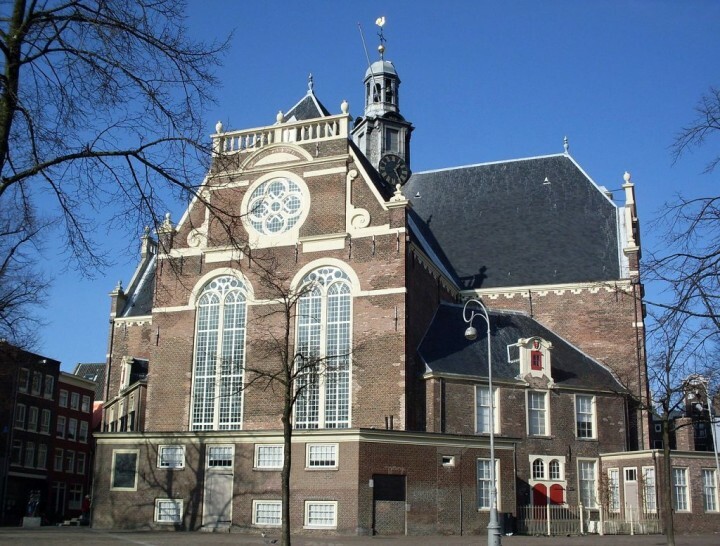 Noorderkerk, translated into English as North Church, is a church, which is located at the eastern end of the Westerstraat street. 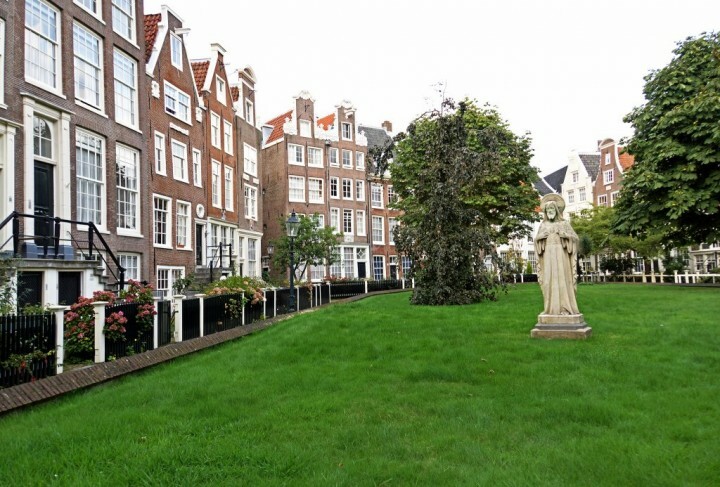 It is the last work of the famous Dutch architect Hendrik de Keyser. It was completed two years before his death in the 17th century and in comparison to other parts of his work this church is considered to be rather less successful. 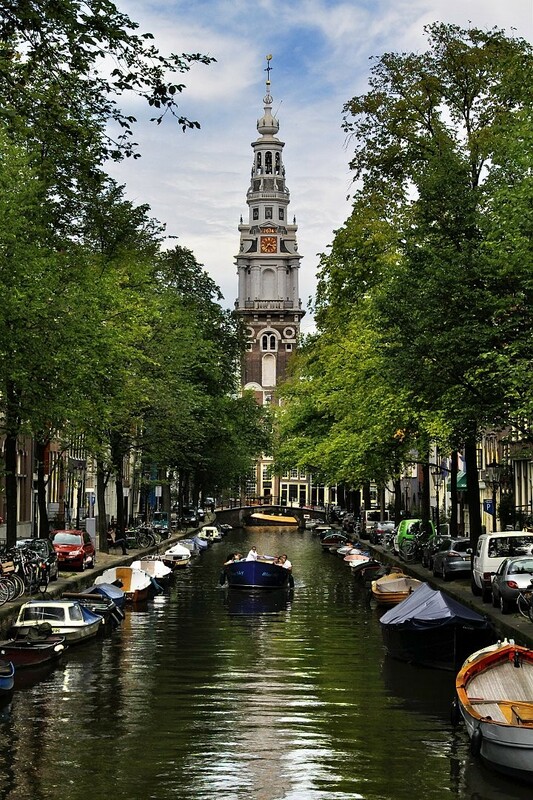 Westerkerk (West Church) can be found on Prinsengracht, one of the main canals of Amsterdam. Even this church was designed by Hendrick de Keyser. 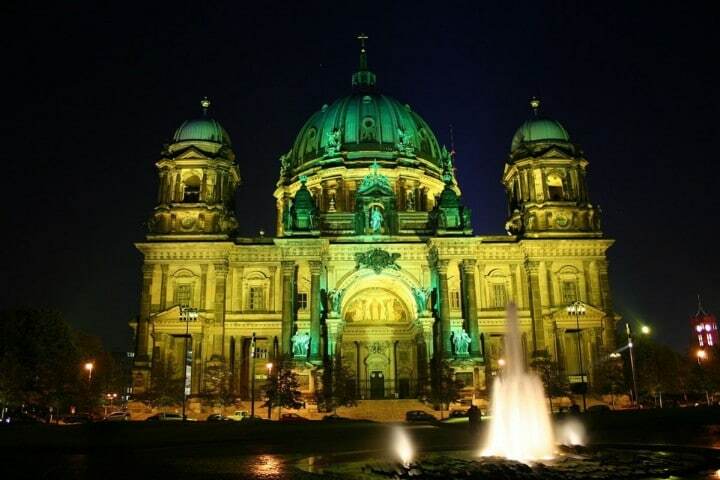 In the time of construction (1631), it was the largest Protestant church in the world. 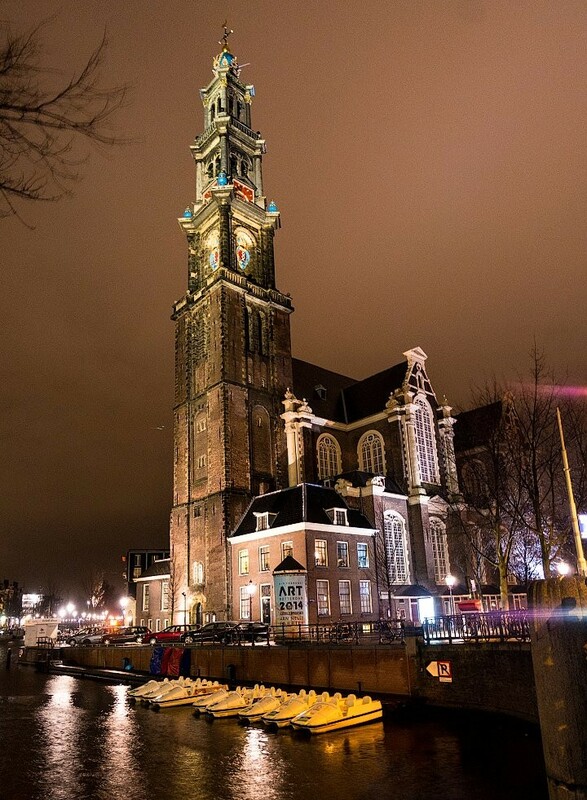 It is one of the most beautiful churches in Amsterdam at all featured with an 85-meter high tower, from where you will be amazed by the magnificent views of the surroundings. Just like many other places, Amsterdam has its own version of the most important arts and history museum and that would be the Rijksmuseum. Get a hold of the million artefacts that the museum currently houses. This is found in the northeastern section of Museum Square in Amsterdam and is arguably one of the places not to miss on your visit to Amsterdam. Van Gogh Museum serves as the place where people can see a lot of paintings and even letters. It is also one of the most important museums in all of Amsterdam. If you want to see paintings or have a chance to read or see some of the famous letters ever written, this is one place you should not miss. 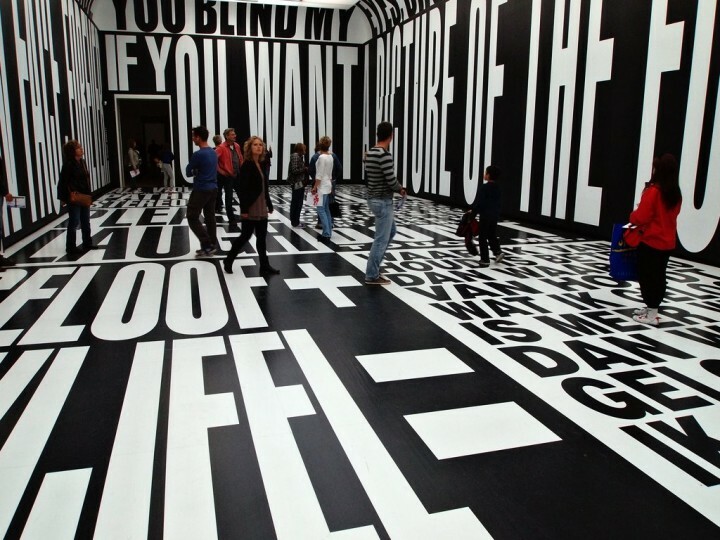 Another museum you simply have to visit while on your trip to Amsterdam is Stedelijk Museum. 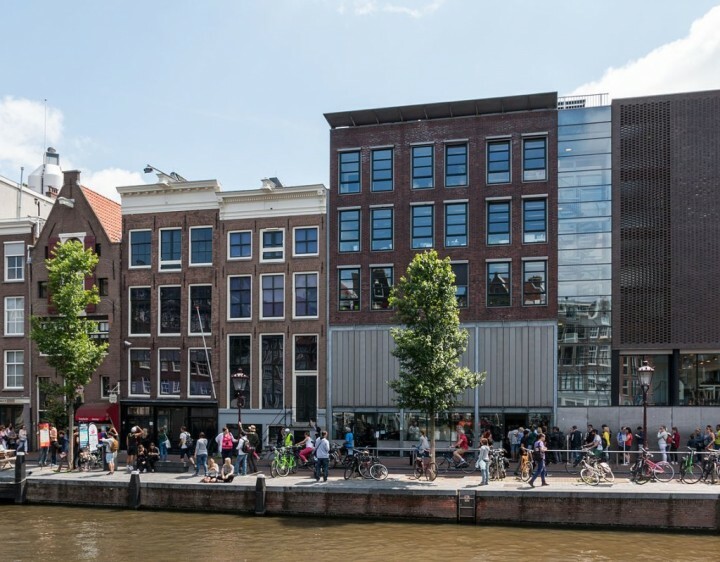 It can be found in the Cultureel Center building situated in Museumplein, a square or place where you can also find other major museums already mentioned above. This building also houses a theatre and offices and was made of brick between the years of 1892 and 1895. The museum is dedicated to the modern and contemporary art and design. Amsterdam has also rich nautical history and all artefacts that are related to rest in the Scheepvaartmusuem, the National Maritime Museum. Get a chance to enter this naval museum which floats in a river. Transport will be through small boats that carry visitors to the museum proper. 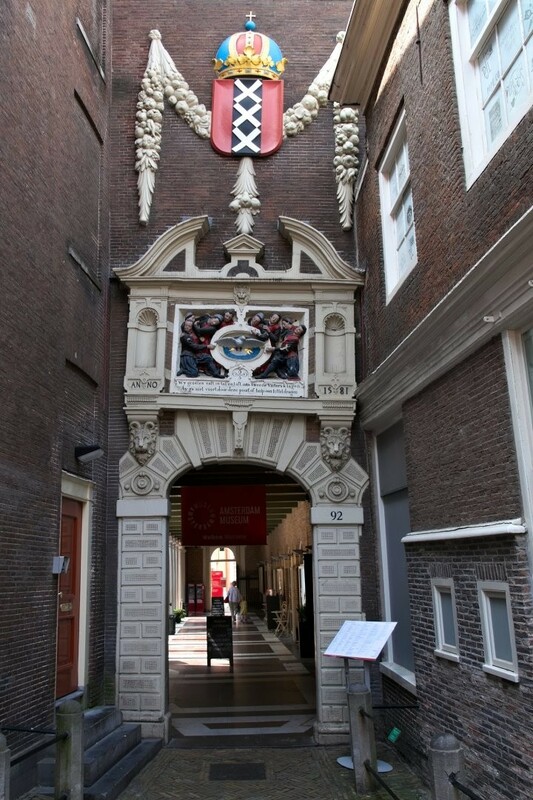 Amsterdam Museum has been established in 1975 in the former orphanage, which was built in the 17th century. You will be welcomed by its beautiful Baroque gate that you will need to pass to enter the museum. Amsterdam Historical Museum is focused on the development of the city and boasts even artefacts from the 13th century. How to get to Amsterdam ? To get to Amsterdam, you can search on our partner’s website Skyscanner. 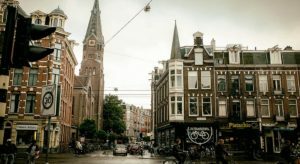 To find a cheap hotel in Amsterdam, you can read our file to find out in which area to stay in Amsterdam. You can laso find an cheap hotel in Amsterdam by searching on this hotel aggregator. 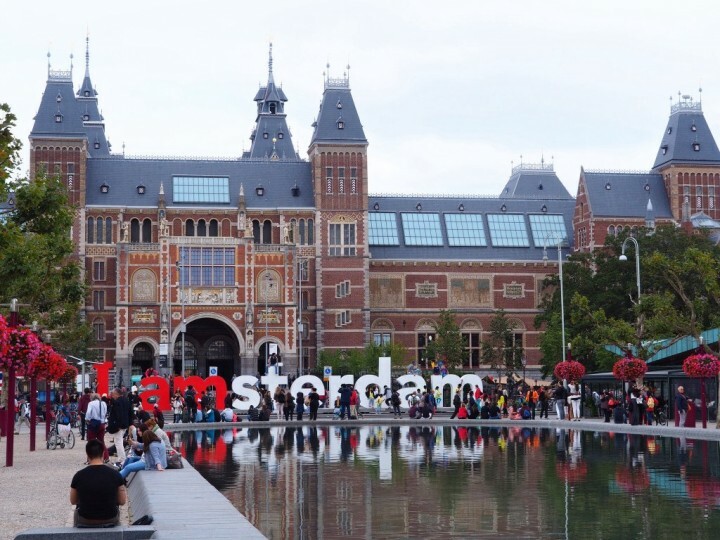 I’ve only spent a day in Amsterdam… And it really wasn’t long enough! Great list of some great places in Amsterdam! It covers a great variety of interests. Thanks for sharing! 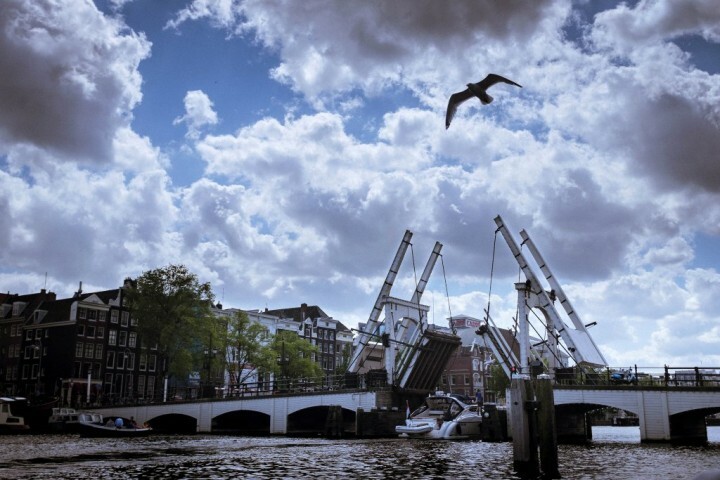 Thank you, Janeen, there’s always something to do in Amsterdam and one list is never enough. I will be adding more places here later. I’ve been twice in Amsterdam but I have yet to see much places, such as The National Maritime Museum , Vondelpark and Van Gogh Museum. I’m sure you will find much more places to include on your itinerary on your second trip to Amsterdam. That’s really wonderful places that I wanna go there. But I also want to promote to you about my country. Check this. Also your country is great, Irfan, thanks for your suggestion! Once we have to go there.